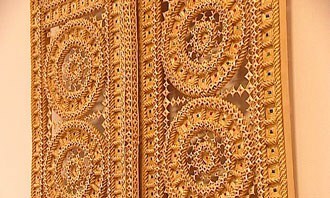 Called Kings Gate, Holy Doors, Royal Doors, Imperial Gates, these straw masterpieces are unique to the country of Belarus and were found in churches. Though all the above names are correct, for this essay,they will be referred to as holy doors. Straw weaving has been practiced in Belarus for hundreds of years. The golden age of straw weaving in Belarus was in 17-18th centuries. 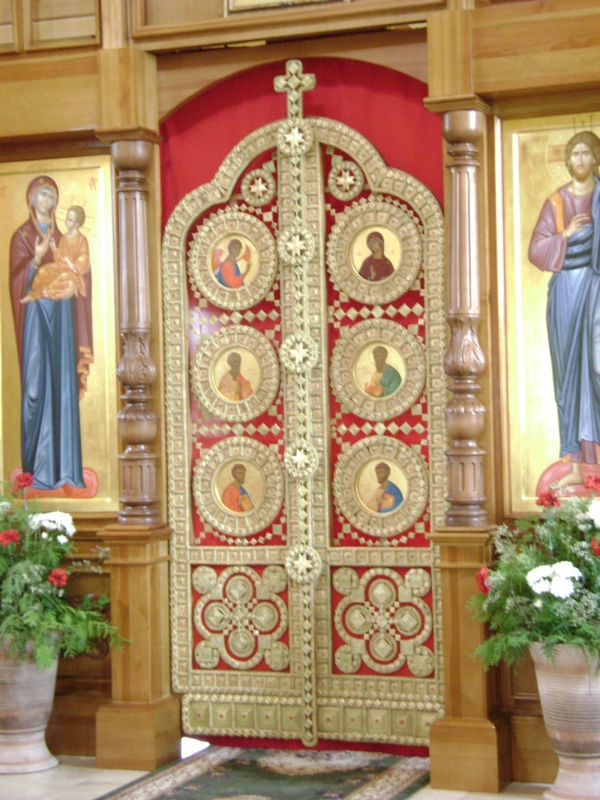 The history of the use of straw gated doors in Christian Orthodox churches goes back to the end of the 8th century. 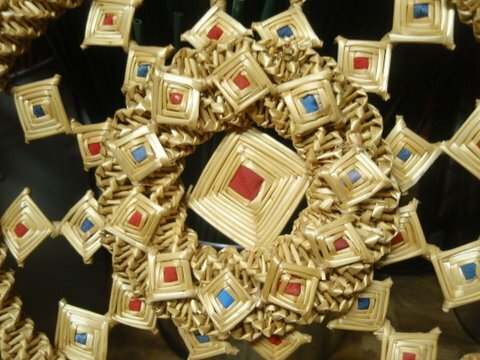 By tradition, the gates were adorned with gold and precious stones. 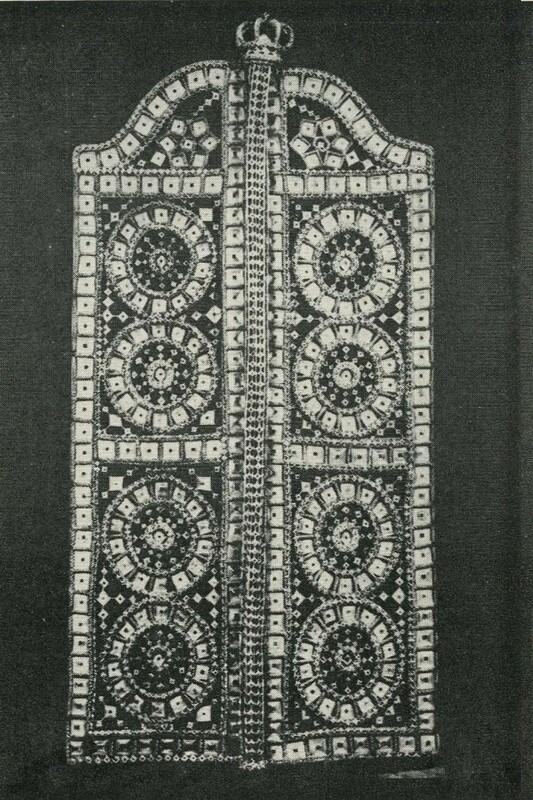 300 years ago Belarussian peasants had to replace gilded carved gilt Imperial Gates with woven straw. Instead of precious stones, they inserted pieces of red and blue patches of cloth from Belarusian folk clothes. 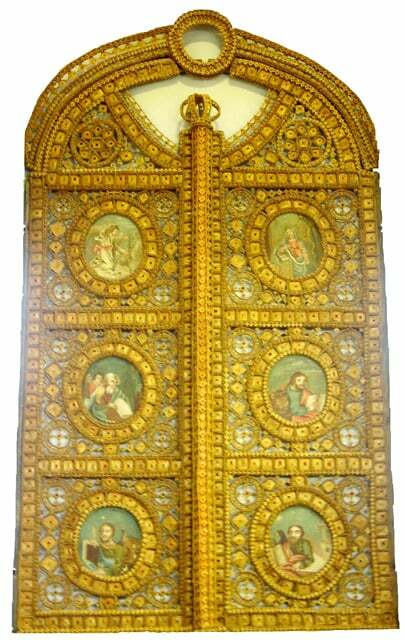 Notice how some doors below show the painted religious icon panels while others are completely straw woven. Only a true Straw Master could use several elements of weaving so skillfully which make up the intricate pattern of cloves and squares of different sizes. In the opinion of The Straw Shop, the finest over all straw work still done today is from Belarus. 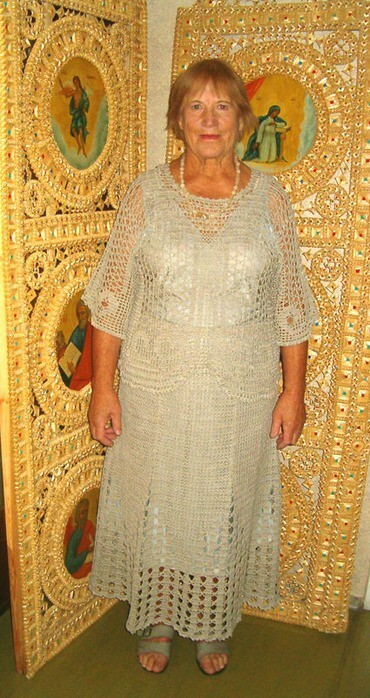 The woman below is named Larisa Los, a straw Master from Belarus. She, along with her daughter, gathered broken pieces of straw holy doors from the muddy basements of churches and replicated them as best they could. As historically done, she inserted colored bits of fabric, in red, blue and dark blue. She made 4 doors, spending hundreds of hours on each one. 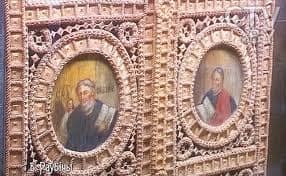 The Straw Shop admires the preservation and replication of these magnificent examples of straw art. These doors are unique straw masterpieces. Here are some close-ups of the work we hope you enjoy. The Straw Shop is pleased to introduce these otherwise fairly unknown straw art pieces. The Straw Shop was privileged to house, at one time, the only set of straw holy doors in the United States. 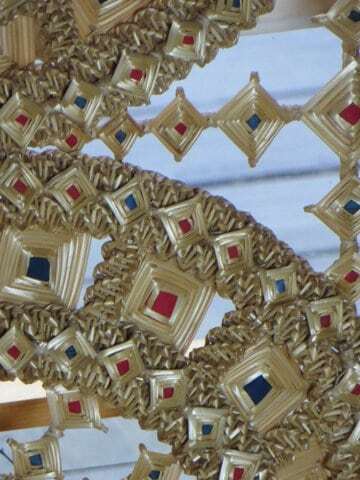 The holy doors in the United States are part of the American Museum of Straw Art Collection.